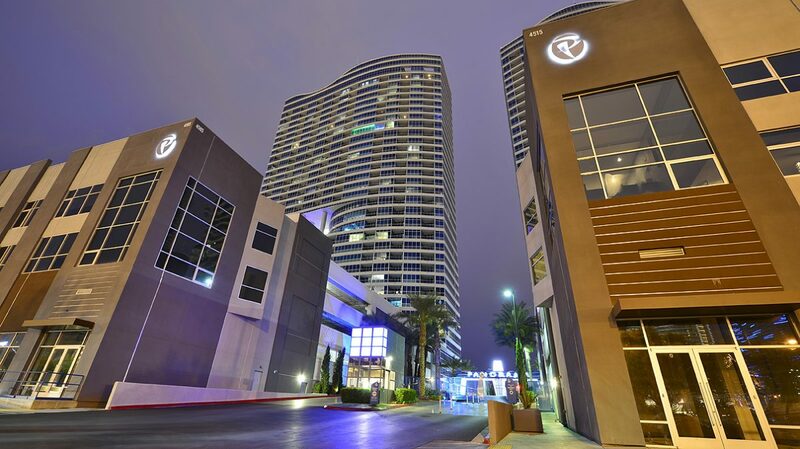 Panorama Towers in Las Vegas includes two 33-story luxury high-rise condominiums sitting behind a guard gate. Developed by Laurence Hallier and Andrew Sasson, the $600 million aqua-blue glass 635-unit complex sits on 8.5 acres on Dean Martin Drive and is centrally located across from the Las Vegas Strip 1/4 mile from CityCenter. Panorama residents enjoy exclusive amenities. Each tower is equipped with a heated pool and jacuzzi with lounge areas, 5,000 square foot fitness center complete with an indoor racquetball court and yoga and Pilates studio, spa facilities, a conference room, game room, and theatre. Valet and private parking spaces are available to residences along with car services. Panorama is located on Dean Martin parallel to the strip and within walking distance to City Center. City Center encompasses Aria, The Waldorf Astoria and Crystals Shops featuring high-end retailers, gourmet restaurants, art galleries and bars. Contact us today to schedule a tour of units that are for rent at Panorama.